My niece is getting married in October so, of course, a wedding quilt is required! 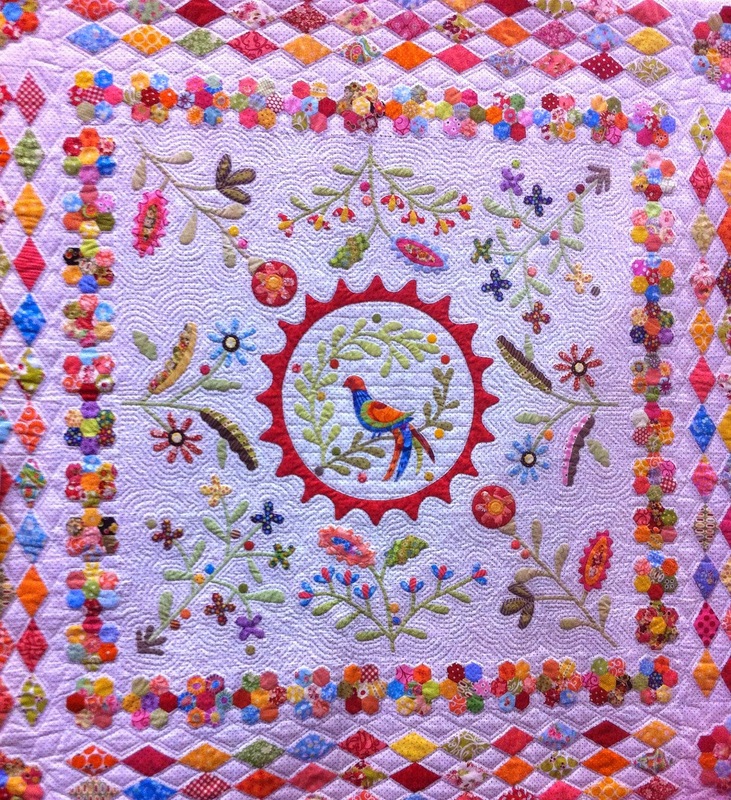 I know I have finished this one rather early for an October wedding but I have so much YouPatch sewing to do in the coming months, I knew I had to get it done now or it may never get done. 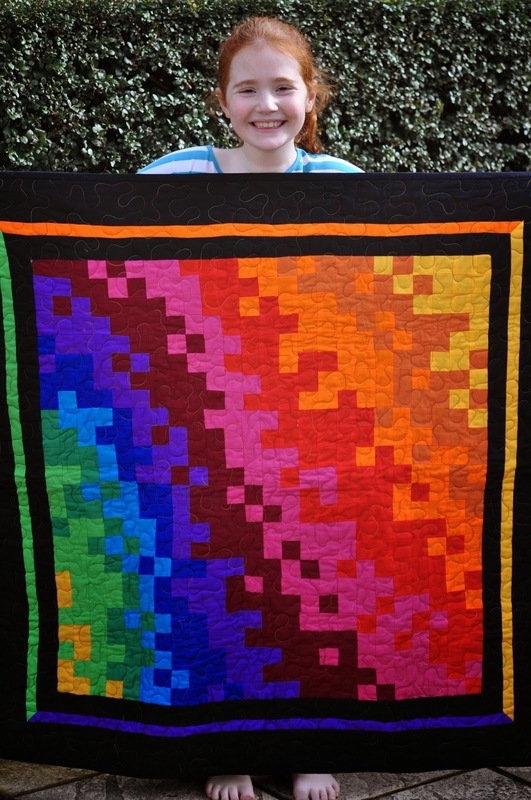 This quilt is HUGE. 96 inches square. That's 8 foot square!!!! 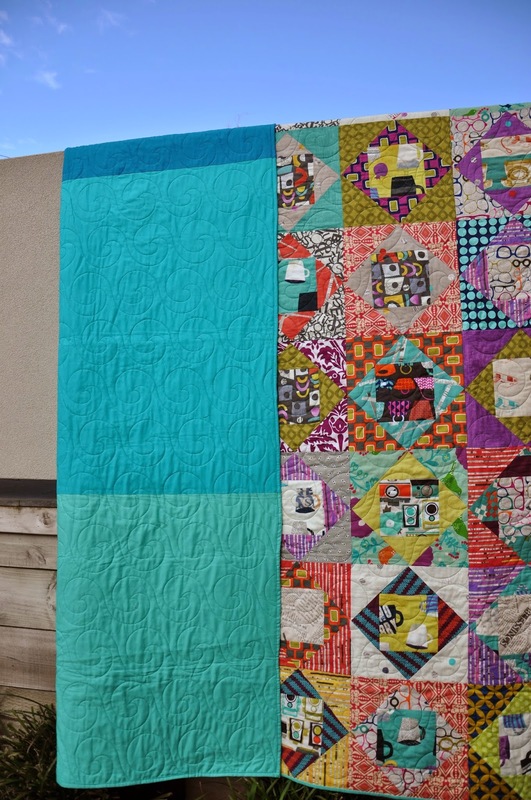 I used Katy's tutorial for 12 inch economy blocks and I really love how the blocks come together to create secondary blocks!! My niece is a fashion photographer so I have included fabrics with images of cameras, handbags and sunglasses among the many and varied fabric choices. 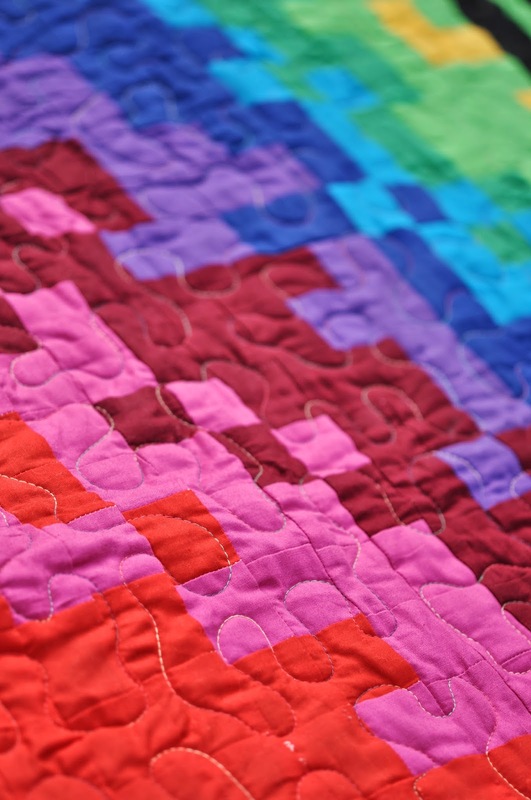 Given that this quilt is intended for two people, I thought I'd better include something about her beloved too. He is a bit of a mad surfer and loves the ocean so on the back of the quilt ..... I created the ocean. 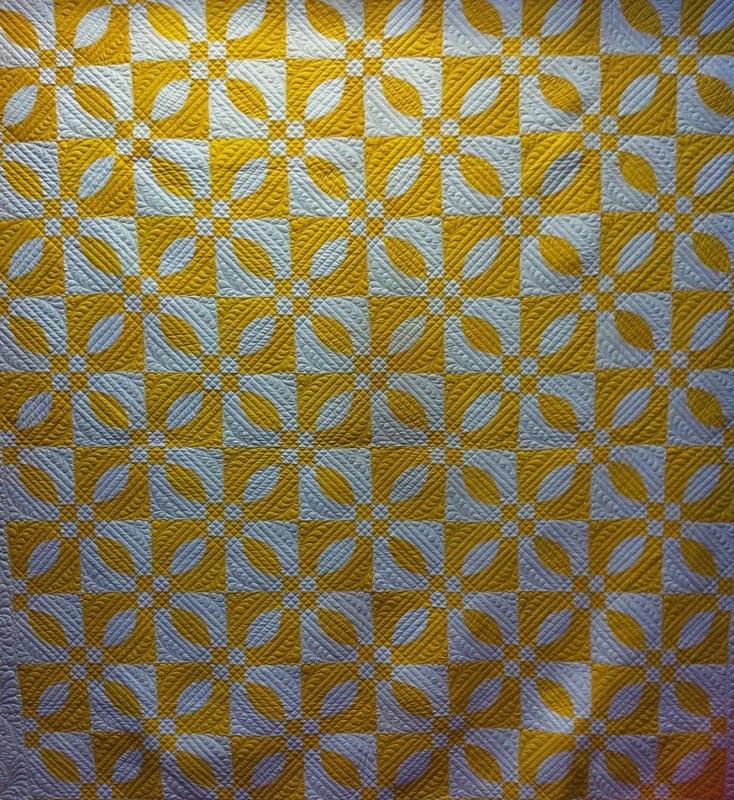 This one was too big for me to quilt on my little Bernina so I sent it off to be quilted by Kylie (who has no website or FaceBook profile or anything I can link to). She did a gorgeous job of creating waves on the solid Kona fabrics I used on the back. The Binding from the front just looks like scrappy solid blue colors but on the back, the binding perfectly matches up with the colors I have used for my backing. 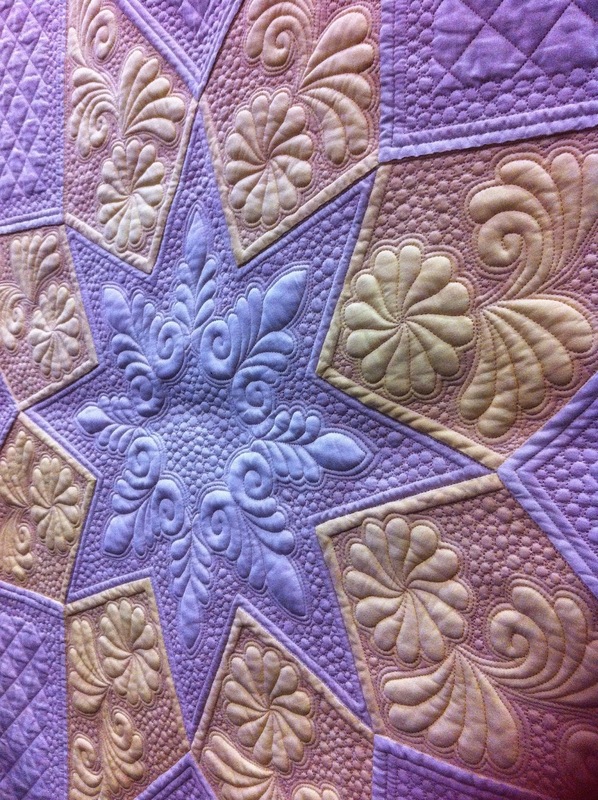 I'll finish up with some (more) gratuitous quilt shots. I'm sure my niece and her fiance will love this gift. She definitely 'gets' the whole handmade thing! Now I just have to see if I can wait until October to give it to them or if they 'need' it early to have a warm quilt on their bed this winter. We'll see. Turns out I've been pixelling for longer than I thought. 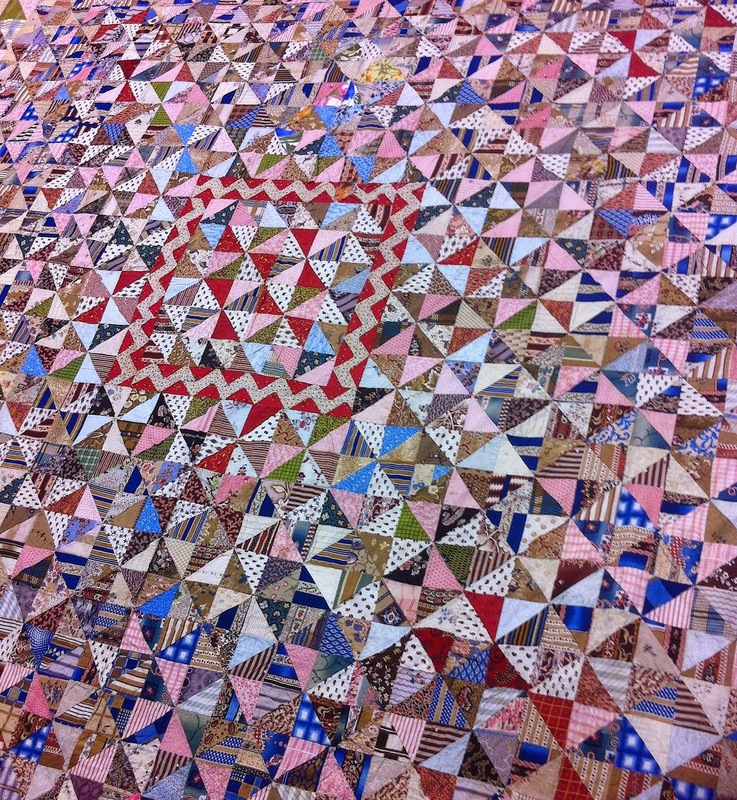 I pulled out this old quilt that I made back in 2002. I had nearly forgotten about it. 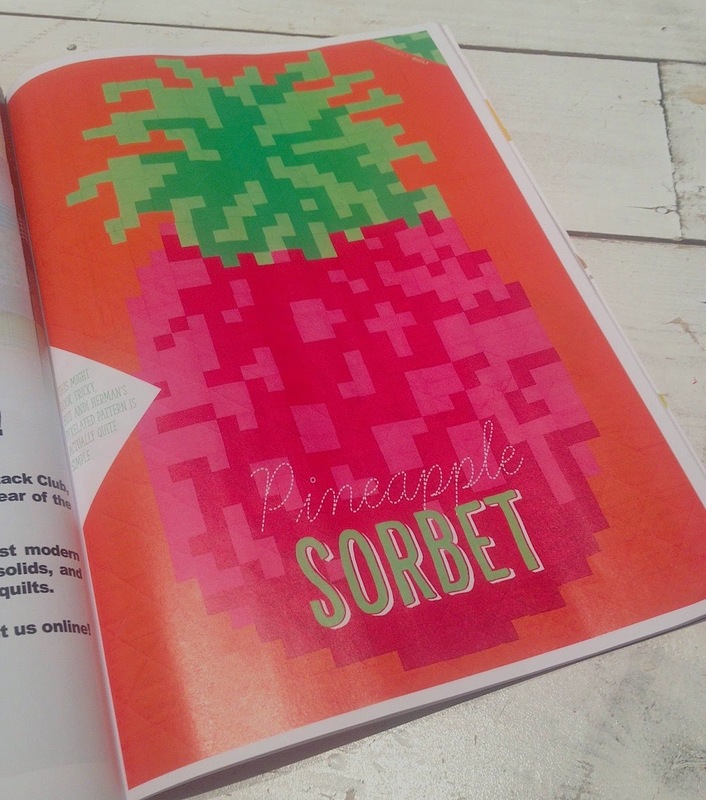 Pretty pixelicious hey? I have been sewing ... pinky promise!!! I just can't show you too much of this project until later in the year. Have a gorgeous Sunday. Go stitch something pretty!! 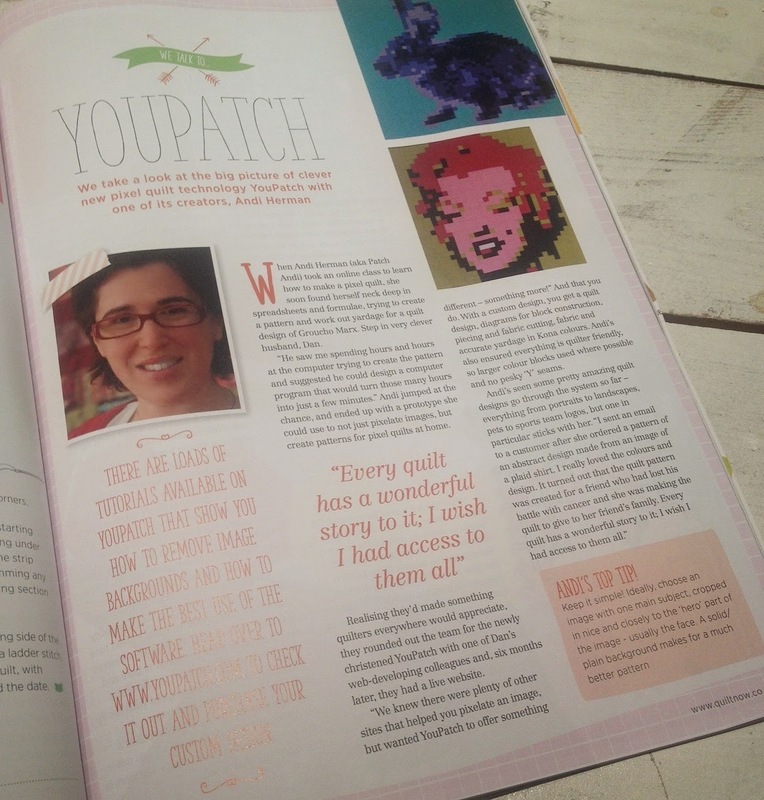 I'm sure you've heard by now that Katy Jones (aka imagingermonkey) is the editor of a fabulous new quilting magazine out of the UK called Quilt Now. It is such an honor to be a part of Katy's new publishing adventure. Thank you Katy for including us! 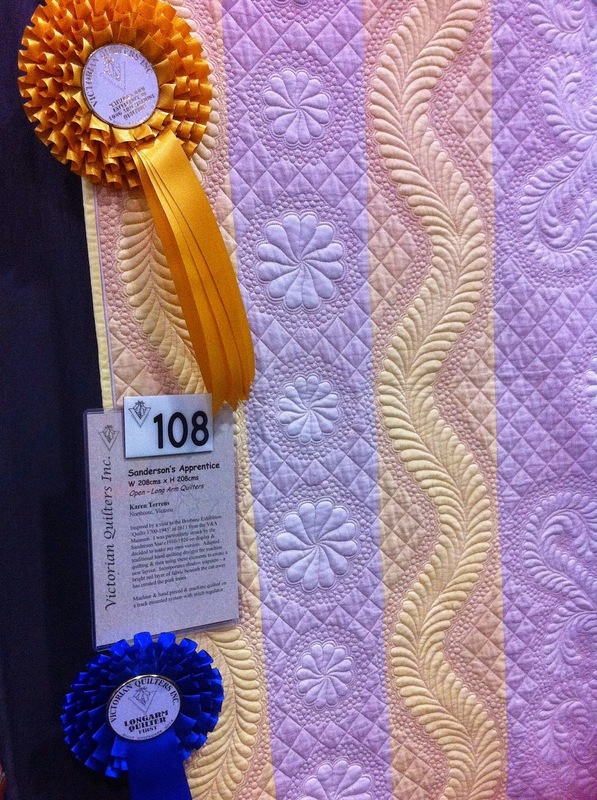 I am sure that Quilt Now will become an integral player in the modern quilting world!! Pop out and grab your copy. 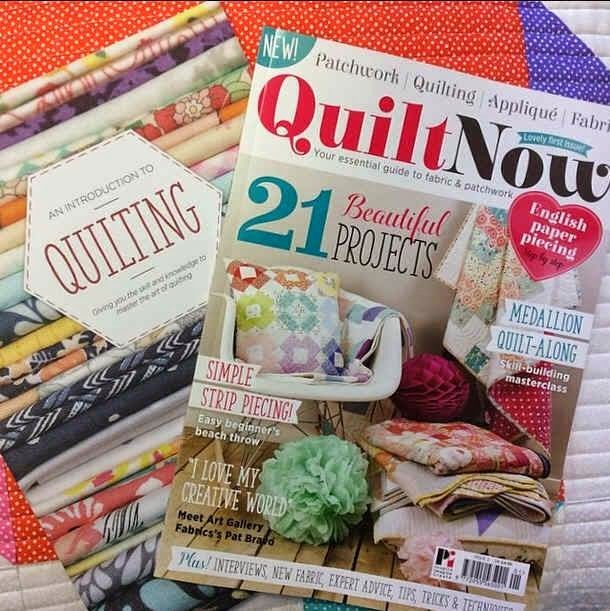 It will also be available as a digital download so head over to the Quilt Now website to find out more!! 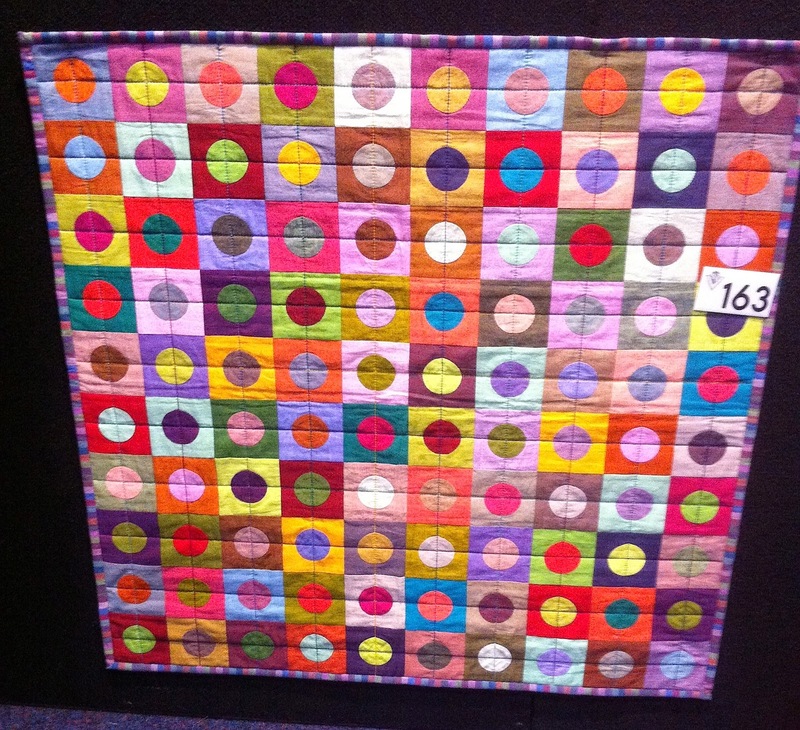 I went to the Melbourne Craft and Quilt Fair last Thursday. I didn't have particularly high expectations. 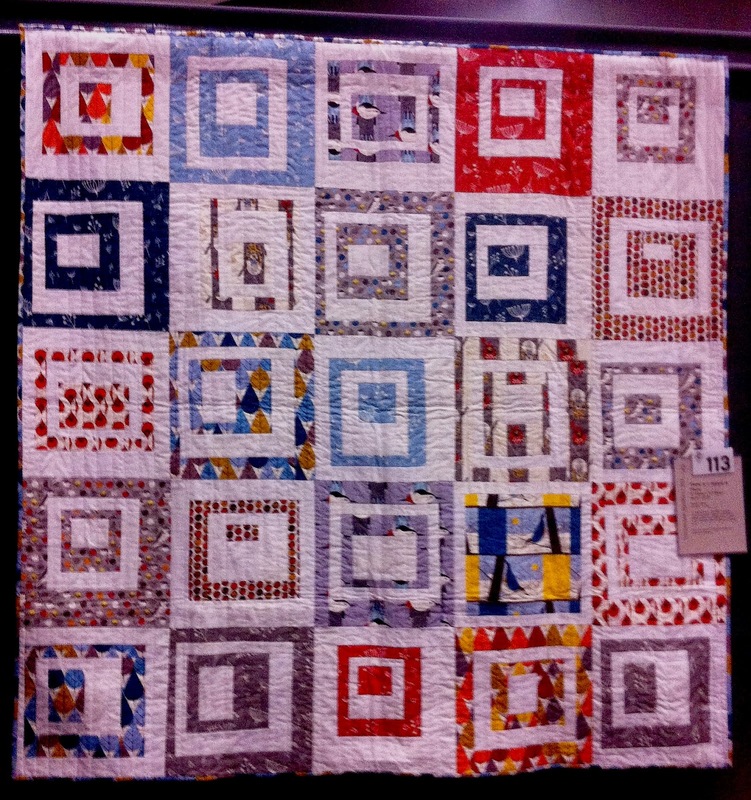 In recent years the fair has become much less about the quilts and more about a range of crafts that are not really 'me'. Lots of shops with an overwhelming impression of 'brown'. 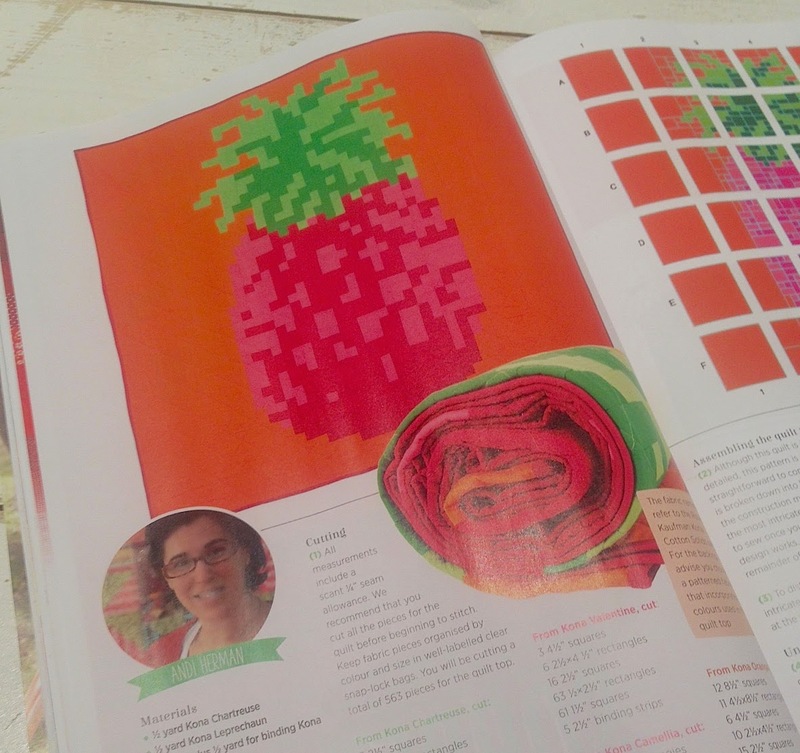 I don't mind a bit of brown but I do need a LOT more color in my crafting world!! 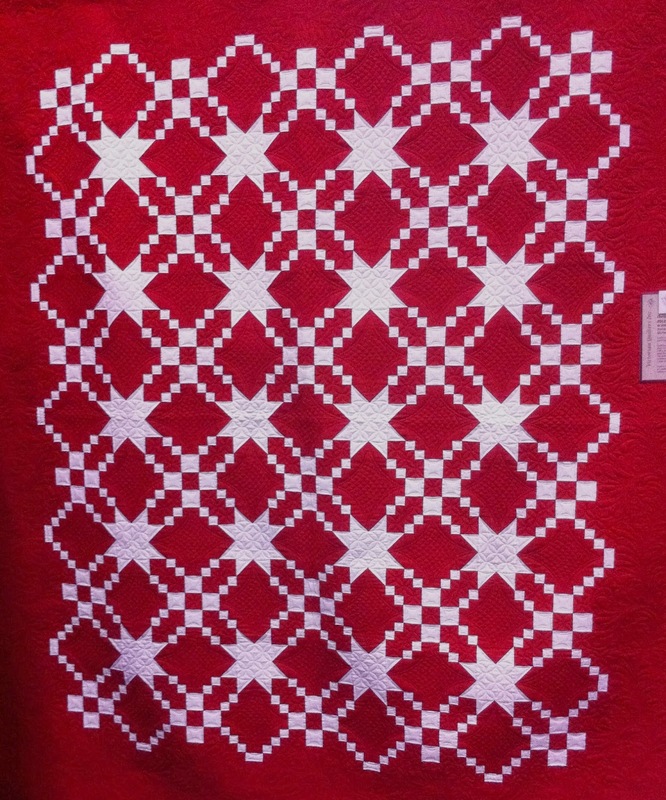 Also, the quilt show has had a tendency to show many of the same quilts over and over again which is frustrating. Jodie is always fun and so very sweet!! 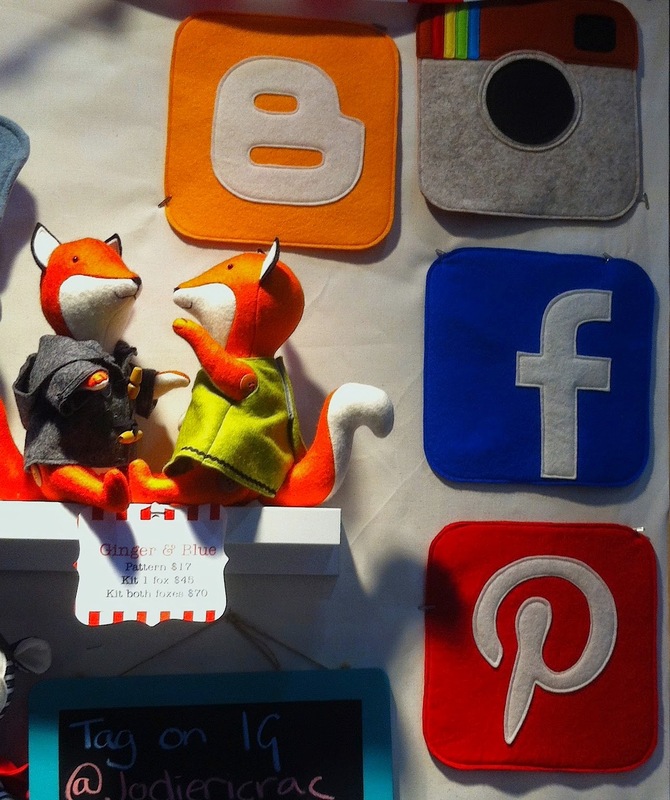 This is a tiny corner of her award winning booth. She's on the Google you know! 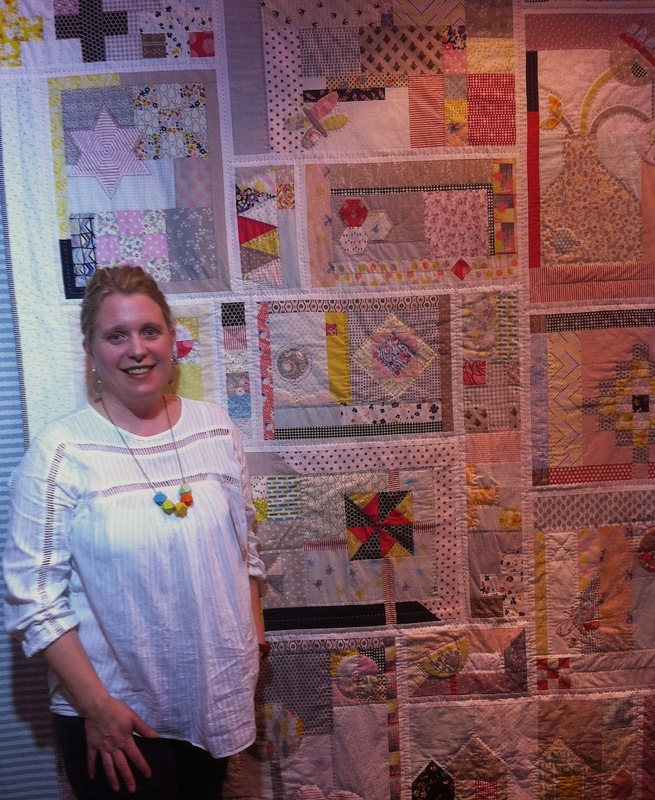 Emma is also incredibly friendly and her new fabrics and quilt patterns are making a huge splash around the globe. You should totally check them out!! The lovely Melly was there as well selling her fabulous fabrics and softie patterns. And so was her gorgeous sister Rosalie who has pretty new fabrics and patterns to share also. 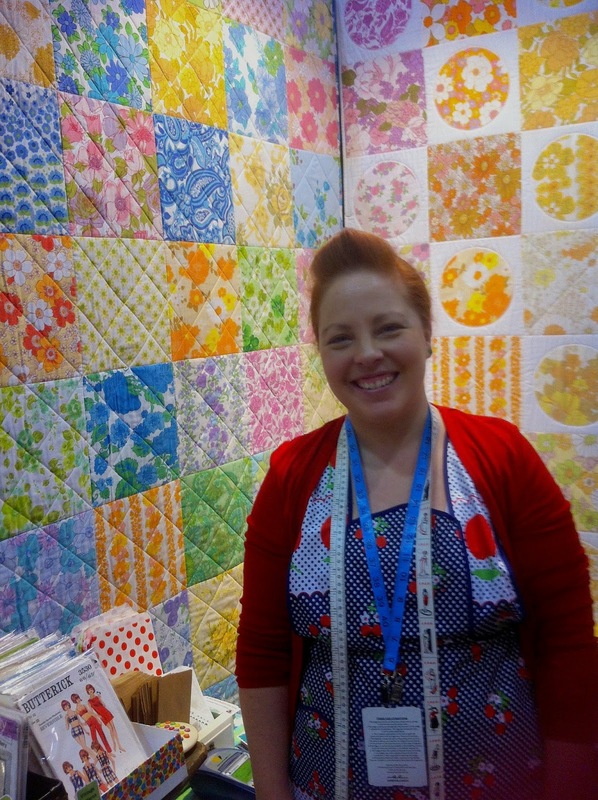 I got to meet Morgan of the Crafty Squirrel and couldn't resist buying some of her vintage sheet goodness. 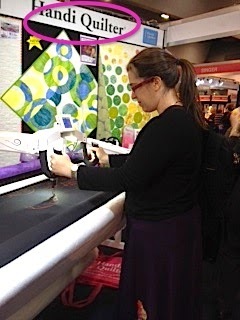 Emma was there from Treehouse Textiles showing off the gorgeous new BOM that she and Cathy have co-designed. 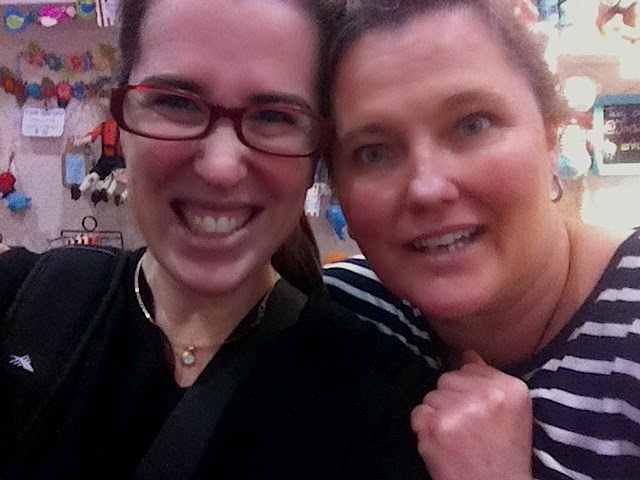 I also got to meet Leslie who is the very clever designer behind Maze & Vale. 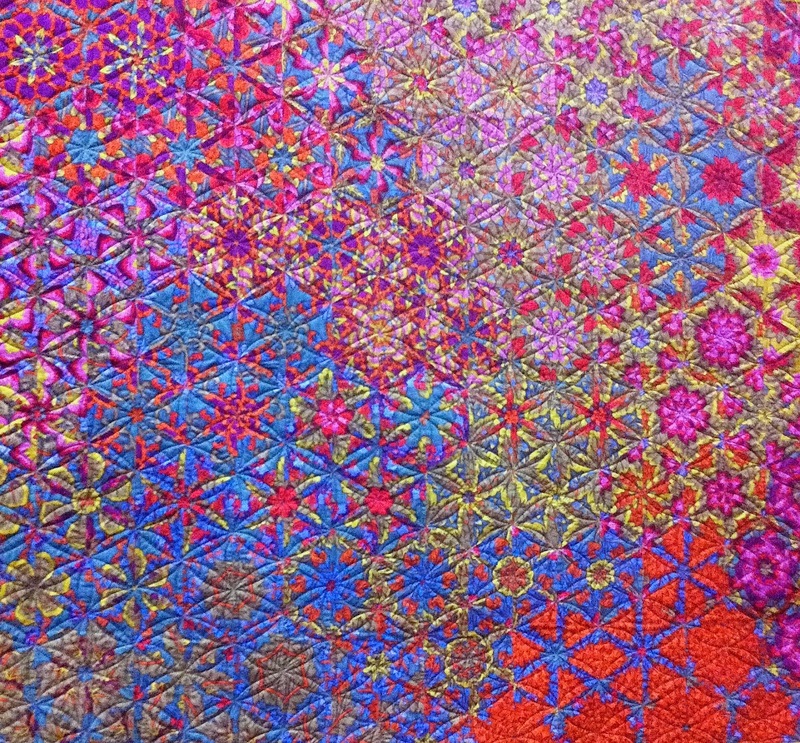 Such beautiful fabrics!! 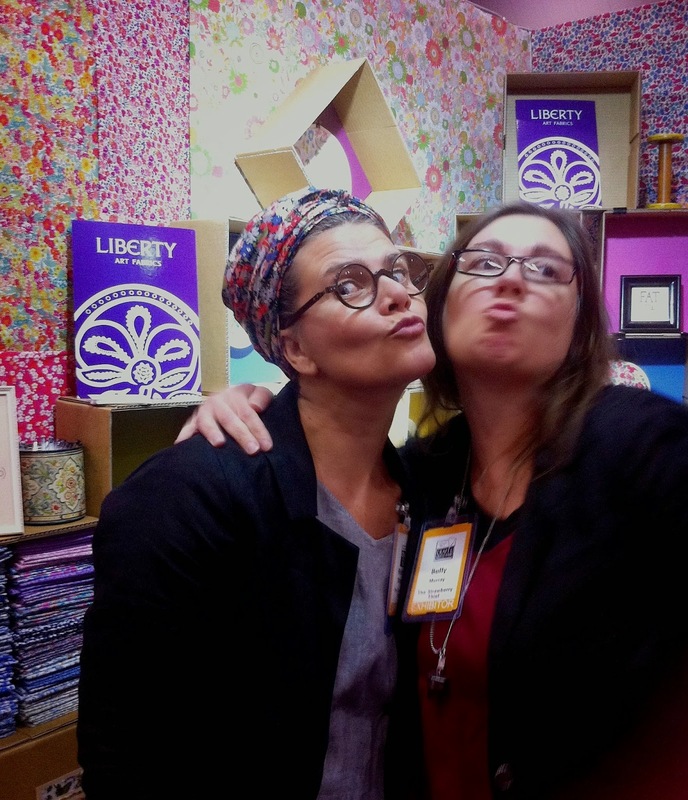 And then there was Robyn and Buffy over at The Strawberry Thief selling the most divine selection of Liberty fabrics. 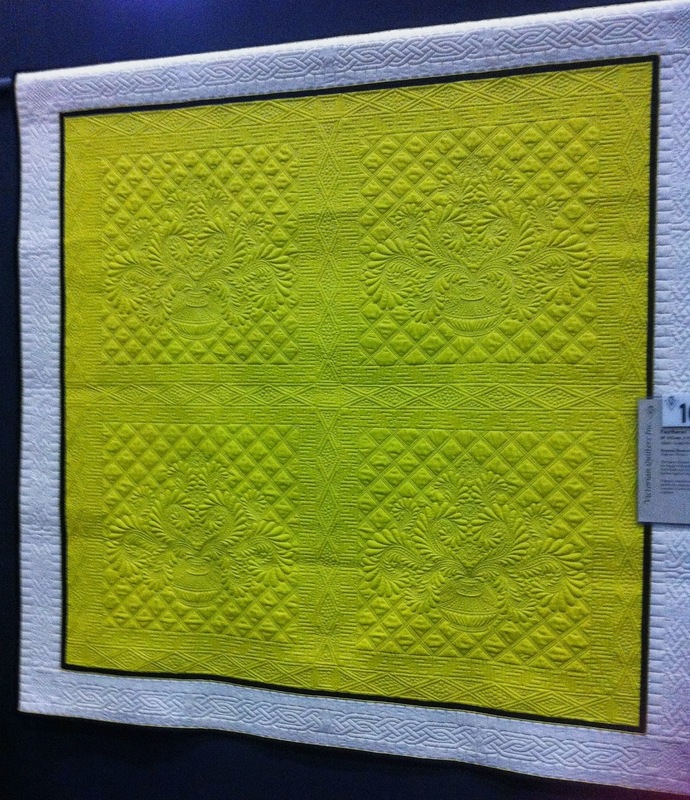 The quilt show had some lovely new (or perhaps new-to-me) entries. 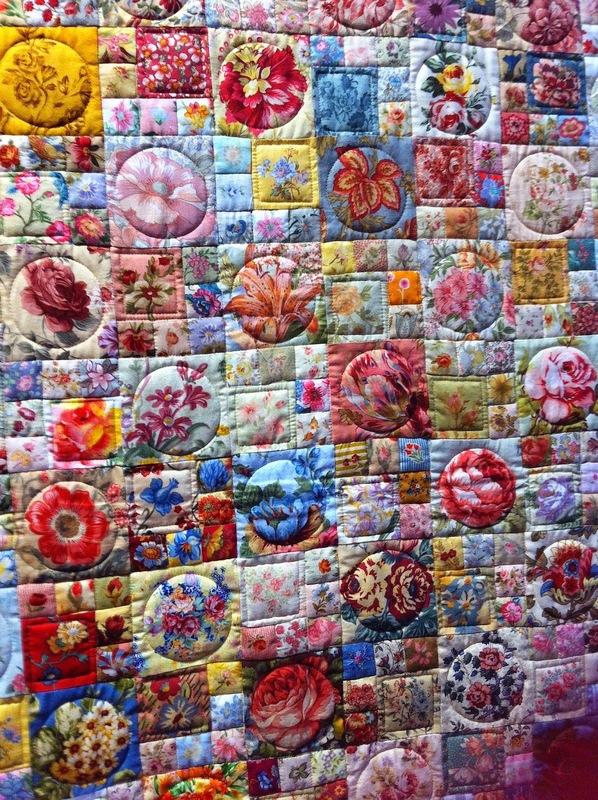 But I do know that this incredible quilt was made by the very clever Karen of Quilts on Bastings. I'm no competition for Karen but I was pleased with my brief freehand efforts. Other than all of the lovely people I already mentioned, I got to spend the day hanging out with Judy, Melissa, Louise, Nadia, Marie and Helen. Great company! Much shopping! Much fun!